This is reposted from an interview I did with Altra Footwear. The original version appears on their blog. 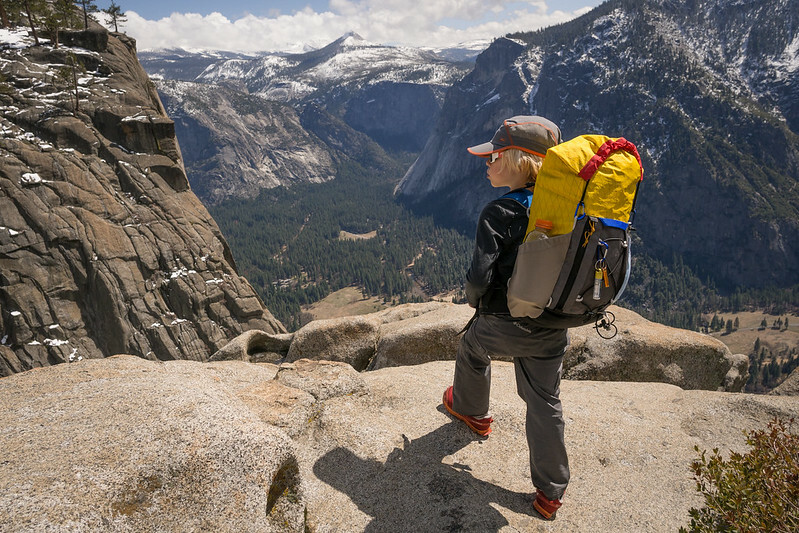 Tell us about your Yosemite trip, what were the highlights? I grew up 90 minutes from Yosemite Valley, but hadn't been back in a number of years. This was my son's first visit and we didn't have any big objectives. Just getting to witness his first experiences there was a lot of fun, starting with hearing him exclaim "Wow!" over and over when he got his first glimpse of the valley at the pullout, and then standing in the meadow with him looking up at El Cap for the first time. Other highlights included hiking to the top of Nevada Falls in a snowstorm, climbing on Glacier Point Apron with both my son and my dad, and camping on top of Yosemite point with views straight down into the valley, and out over the snowy high country all to ourselves. When did you first start taking family trips? We really never stopped taking outdoor adventures. My wife was still backpacking at 7 months pregnant. We took Ethan on his first hike at around 6 weeks old, and his first time camping in a tent was at around 5 months. We did a couple of overnight backpacking trips his first summer, along with his first trip to our family's cabin on a river in Montana. 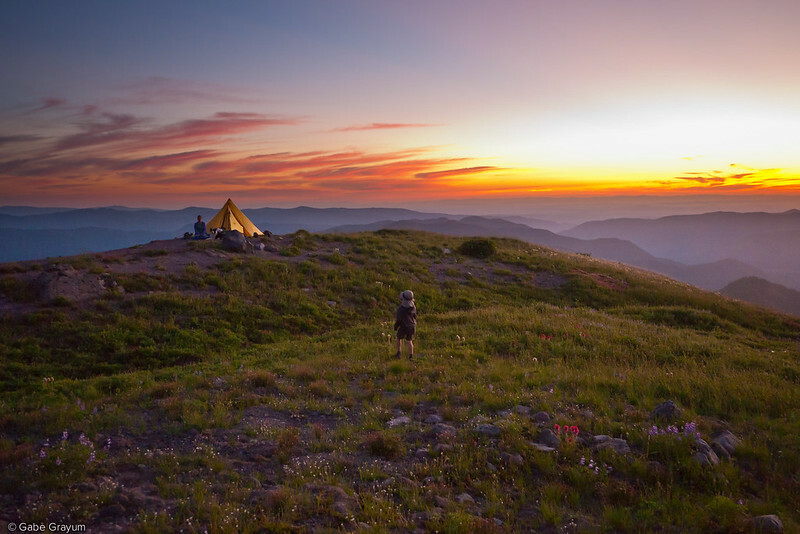 The next few years were similar: lots of day hikes, a couple of backpacking trips, and a lot of car camping. We introduced him to skiing at 5 and outdoor rock climbing at 6. We also went to Germany together when he was just over a year old, which was a different kind of adventure. 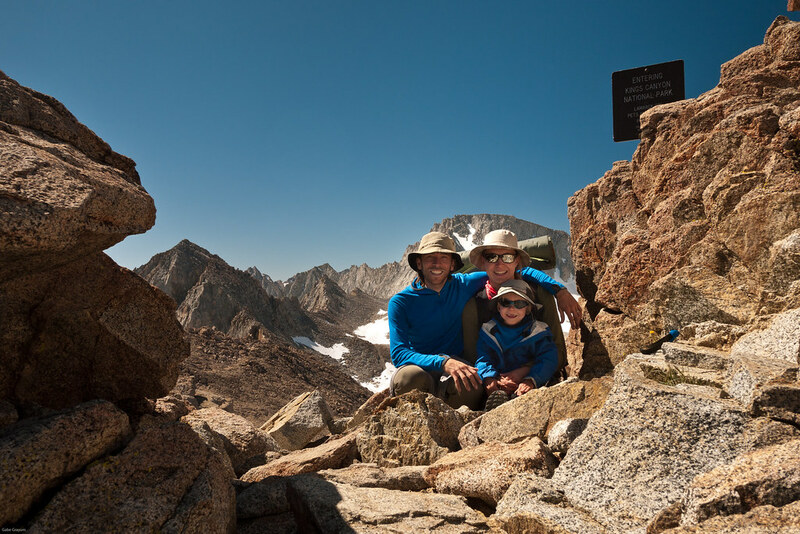 What has been your favorite adventure as a family? It would be hard to pick just one. The ones that stand out the most are usually ones that felt like milestones. We were able to really start ramping things up when Ethan was 4 years old. He could now hike 8 miles in a day on his own. 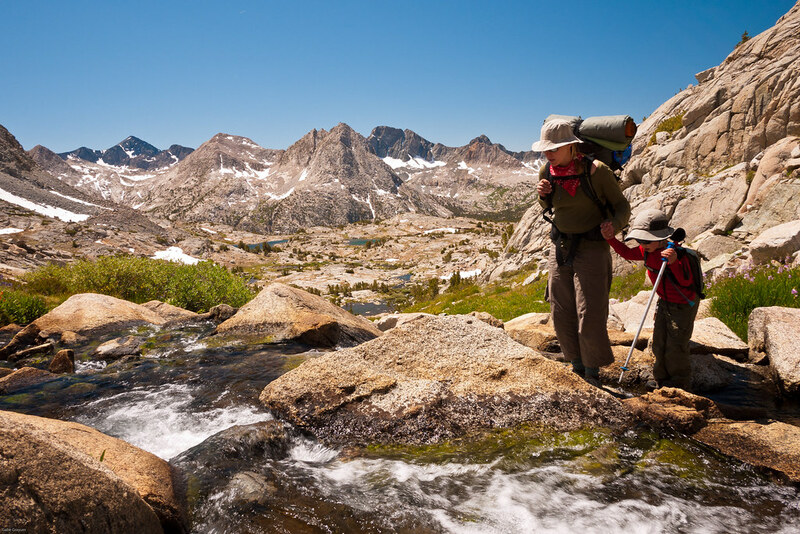 That summer we spent 10 days in the high Sierra, the highlight being a 5 day loop into the Evolution Basin, mostly off trail, crossing a couple of 13,000 ft passes. That was probably the first family trip that really felt like a true adventure. 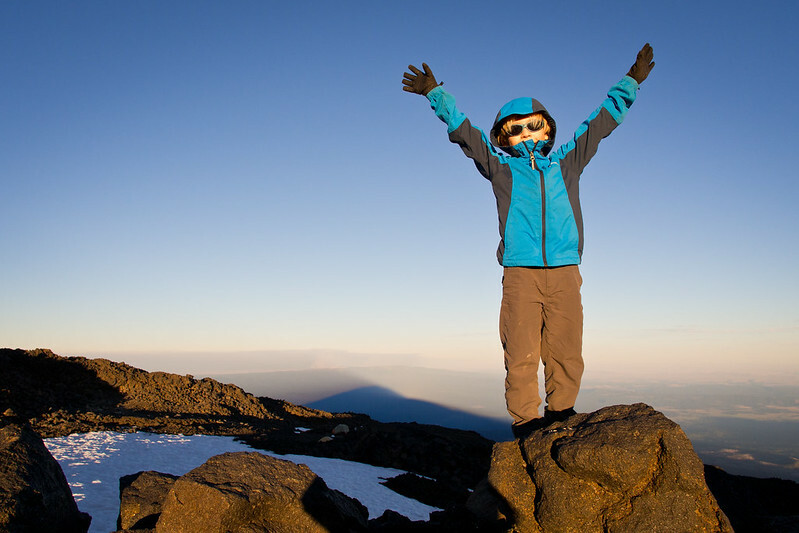 When he was 5 we climbed the South Sister, and stood on top of our first volcano together as a family, then skied down. The last two summers we've spent time in the North Cascades, fell in love with the mountains there, and have made some big changes to be able to move there this summer. How does your son enjoy your trips? What's his favorite activity to do outside? He'll usually either say rock climbing or skiing, depending on his mood. He also loves to do kid stuff like play with sticks and rocks, and digging in the snow is probably his favorite activity (handy for snow camping and building snow caves). He's good at entertaining himself and is almost always happy outside. He really enjoys camp time, when he can just play, or tuck into his sleeping bag to draw or write in his notebook. Generally, the easier the walking is, the quicker he gets bored. Long stretches of trail without views or visible progress can be really difficult. Steep scrambling with no trail is like having the playground to himself. Fortunately I often feel the same way, so I have no trouble dreaming up interesting trips. 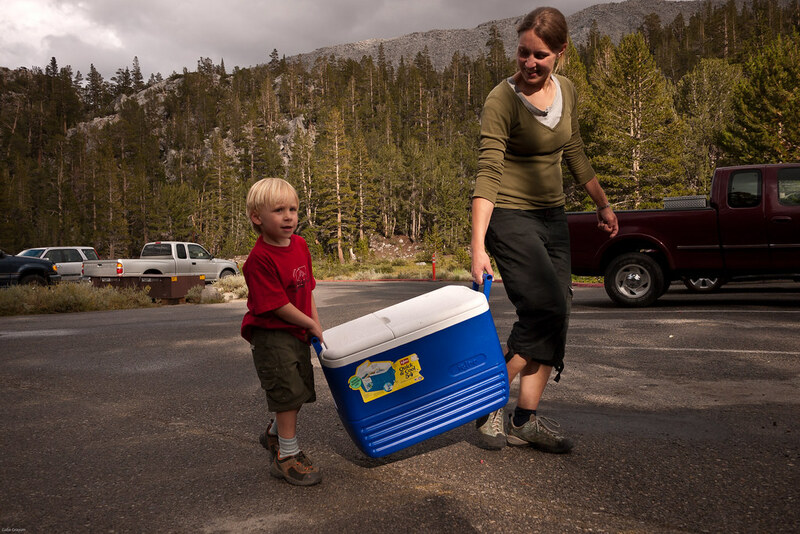 What's the most important thing you've taught your son while on one of your trips? Hopefully, it's the ongoing process of teaching him to make good decisions, and always come home safe. The teaching opportunities in general have been a really rewarding surprise for me. There are endless skills to share, from knots & rope work, to self arresting, to reading a map, to camp chores. But the most memorable teaching moments have been from the natural world, for example inspecting rime ice and frost heaves on a cold winter day in the Columbia River Gorge, and talking about how they form. What trips do you have planned for this summer? This summer will be a big adventure of sorts. After 10 years in Portland, we're about to move to a small town in the mountains in northern Washington. We’ll be spending a lot of time hiking, climbing, and camping — exploring our new home. We’ll certainly fit in a few ambitious trips. We also hope to make it back to the high Sierra to climb some classic routes and spend time exploring some of the less traveled corners there, and we’ll likely spend some time in Montana, visiting both some of our favorite places, and some new ones. Following us on Twitter is the best way to keep up with our adventures. What advice do you have for parents who'd like to take their kids exploring for the first time? The first is don't underestimate your child's abilities. 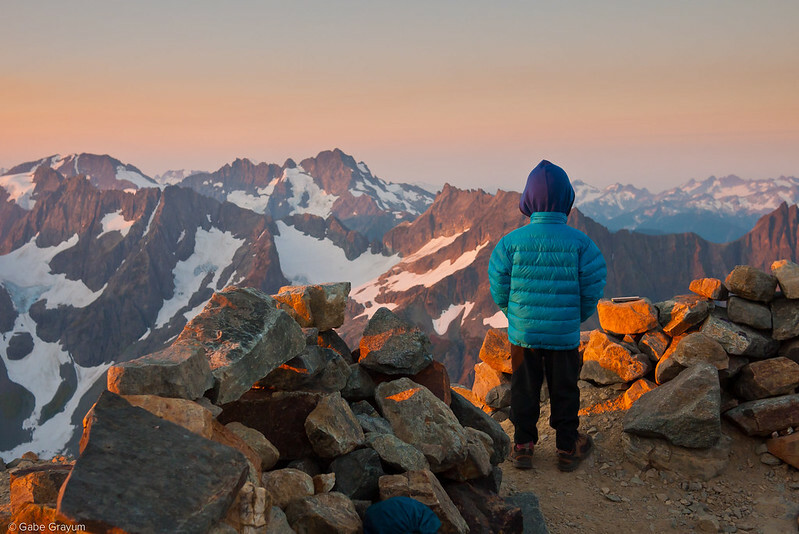 When Ethan was 5 we spent a week hiking in the North Cascades just after Labor Day. The trails were fairly busy, and one person after another would stop and say "I didn't know kids could do this, maybe I should try taking my kid/grandkid hiking". It sort of blew my mind to keep hearing that. If there's something you love doing outdoors, go share it with the children you love. Give them a chance, they'll probably surprise you! The second is to be patient. Yes, you'll have to move slower, and stop more often. 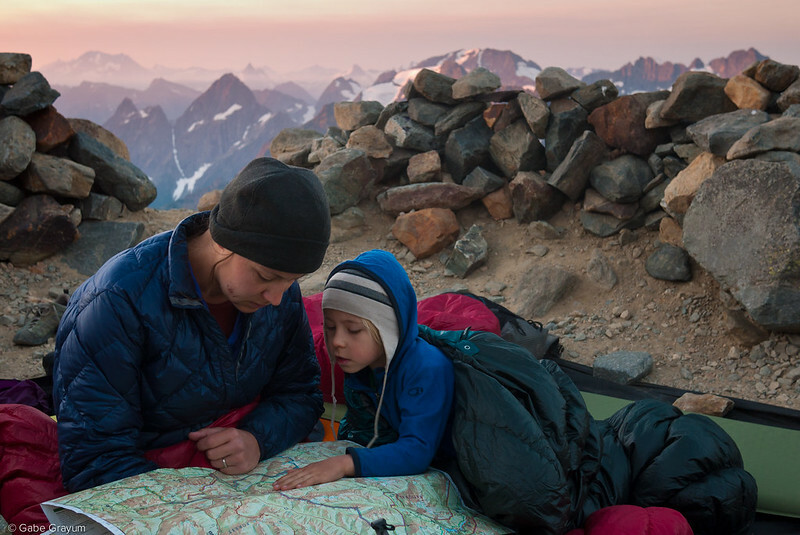 With a little planning, and realistic expectations, you can still have real adventures, and the rewards of sharing them with your child are impossible to describe. One last tip: Try holding hands. I've probably walked hundreds of miles, both on and off trail, across fields of giant talus, up steep snowy slopes holding Ethan's hand. It keeps him moving a little faster, makes him feel secure, and it's fun. He's about grown out of this practice, which is sort of sad. What's the best piece of gear you guys have for family outings? I have been continuously dismayed at the lack of acceptable kids gear available. From a lightweight shell with a fully functional hood, to lightweight backcountry ski gear, there are lots of things that simply don't exist. I was super excited when I first heard rumors of the Altra kids shoe. We've found the best (and often only) clothing options are from Patagonia or Columbia Sportswear. I started designing and building backpacks partly because there were no suitable kids packs on the market. The lightweight philosophy really makes multi-day trips not just possible but enjoyable as a family. To nominate a favorite piece of group gear I'd have to go with our MLD Supermid, a floorless shelter that offers 75 sq ft of covered space for less than 2 pounds.